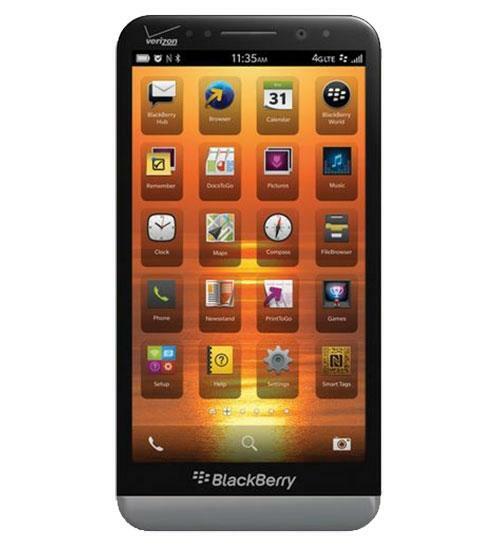 The BlackBerry Z30 is one of the flagship devices offered by BlackBerry. It is an upgrade to the BlackBerry Z10 and features a 5-inch HD display, 1.7 GHz Qualcomm Snapdragon S4 Pro dual-core processor, DLNA wireless media streaming, 8-megapixel rear-facing camera, 2-megapixel front-facing camera, global romaing, NFC mobile payment tehnology, and expandable memory. The BlackBerry Z30 runs the BlackBerry 10 OS. In this video, Wirefly unboxes the newest smart phone by BlackBerry. Wirefly reviews the BlackBerry Z30. The phone with the biggest display BlackBerry has ever made. Wireflys Carlos Rivera gives us a closer look at the BlackBerry Z30. Breaks it down and gives us his experience while using the phone. In this video, Wirefly goes in depth talking about the Z30 display. Wirefly's Carlos Rivera talks about BlackBerrys biggest display on a smartphone, and goes into detail. In this Wirefly Smartphone Schmackdown comparison review video, the BlackBerry Z30 goes head to head with the Nokia Lumia Icon. Wireflys Carlos Rivera goes into detail and comparing one to the other. From the design, display, OS and other features that make these phones stand out.